1. Choose a group or work by yourself. 2. 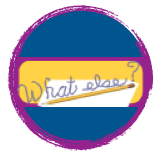 Choose an idea for investigation -- an issue related to you or your community. 3. Conduct background research for what is already known. 4. Write a proposal (see below). 5. Document your investigation (background notes, team or individual choices, notes, steps, methods, charts, diagrams, results, conclusions. 6. Write your abstract. Include your solution to the community issue in your conclusion. 7. Write your letter to persuade a local leader to use your solution or to recognize the issue. 8. Create your presentation display. 2. For each hypothesis you propose, state the hypothesis, identify what your investigation team will measure to verify or disprove the hypothesis, and state your reasoning. This way of expressing a hypothesis, prediction, and explanation follows the expectation that science can be expressed logically, and puts mathematical analyses of your data into a meaningful context. You can create more than two hypotheses to investigate. Because: __(What is a plausible theory or explanation for the dependence of Y upon X?)____. If water temperature is high then water dissolved oxygen will be low because gas solubility is lower in warmer water. STOP HERE, SEE YOUR SCIENCE TEACHER TO GET HYPOTHESIS APPROVAL!!! Who will be responsible for which measurements and tasks? Please list any safety concerns you have for this field investigation and what your plan is to reduce risk. Also, please request any safety materials you might need prior to this investigation.